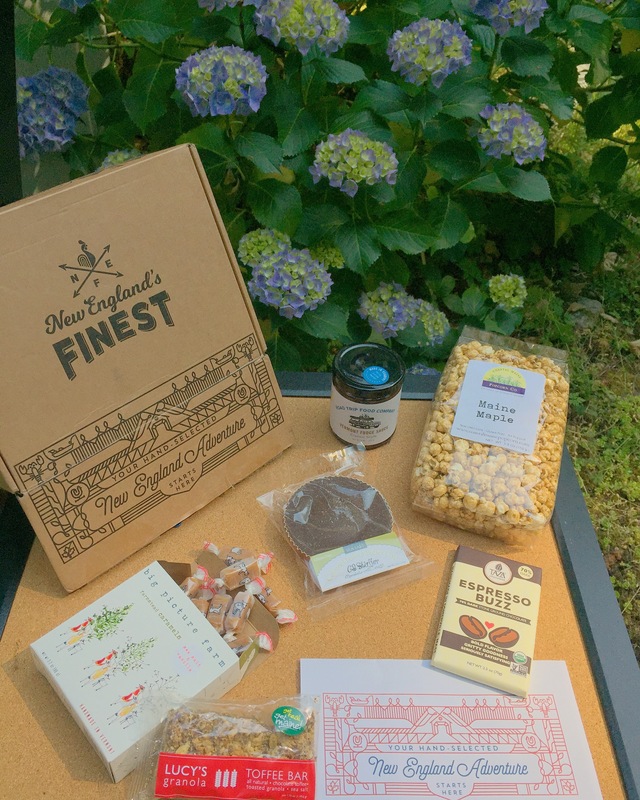 Road Trip Food Company’s Vermont Fudge Sauce Classic – Mmm a super rich fudge, comes in mint and regular. Coastal Maine Popcorn Company’s Maine Maple Popcorn – A massive bag of delicious maple popcorn, perfect for date night! CB Stuffer’s Dark Chocolate Caramel with Sea Salt Peanut Butter Cup – A massive peanut butter cup, plus caramel and a hint of salt, can’t go wrong and sharing size too (or keep for yourself!). Big Picture Farm’s Goat Milk Sea Salt & Vanilla Caramels – Mmmm I’ve had a multi pack of these caramels before and they are just amazing, melt in your mouth. DROOL. Taza Chocolate’s Espresso Buzz Amaze Bar – 70% dark chocolate bar, great with a nice glass of dark red wine, packed with that espresso punch. Lucy’s Granola’s Granola Coated Toffee – Granola, toffee and dark chocolate, and so good! I’m a big toffee bar fan so loved this!